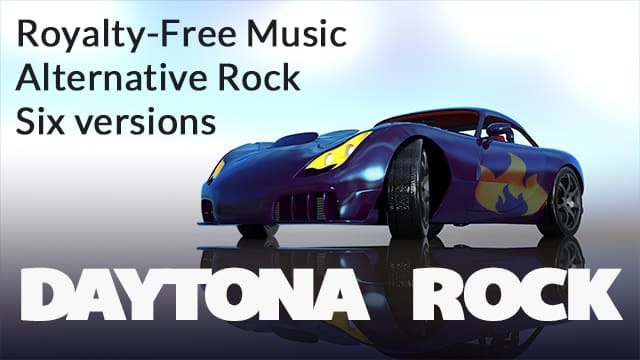 Alternative rock music track, “Daytona Rock” is available in six different versions, including full version, 30 and 60 second versions, two loops and a tail. Listen to sample above. Check out the other versions here.